So what are the key pieces of functionality in this solution? Well everything you’d expect; automated provisioning, self-service abilities, intelligent storage management, elasticity, intelligent and in-context monitoring, chargeback and backup and recovery. All of this is achieved by pre-tested and designed integration between a large variety of products. See the image below for the whole picture. Of course all of the standard integrations what we know and love such as VSI, VASA and VAAI are inherent in the design as well. The current design of the EPC offering supports three different sizes: small (1,000 VMs) medium (5,000 VMs) and large (10,000 VMs) to fit the scale need of a spectrum of customers. For the full-detailed document, check out the solution guide which goes through all of the implementation and administration details concerned with the EPC. I think this solution is rather in-depth and definitely worth at least a read as it is pretty cool. 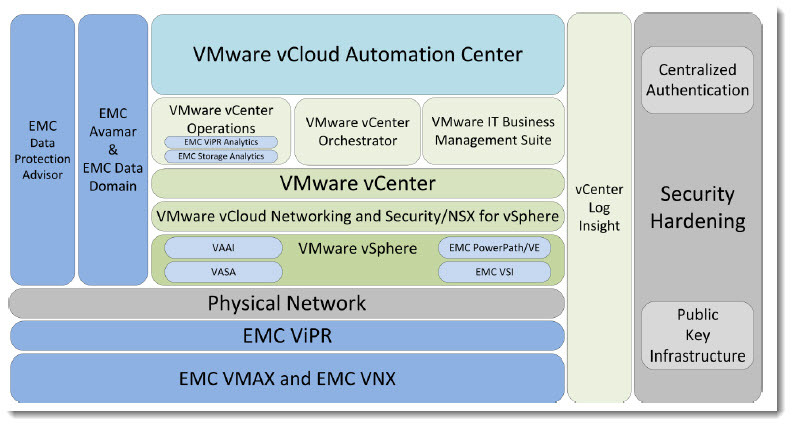 There are areas that can be improved and EMC is focused on doing so with each release. 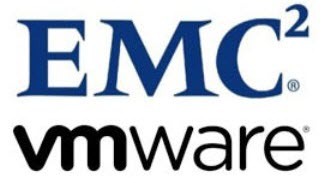 There is only so much time in a release cycle–remember this isn’t just plugging some hardware and software together–EMC is actually developing code to integrate these pieces as tightly as possible. 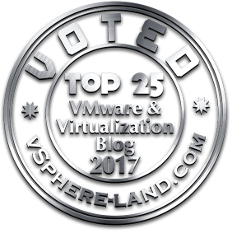 If anything, you will come out of this document learning quite a bit about what EMC has to offer in the cloud and in VMware integration!